Apple has unveiled a new iPad that's thinner and slightly larger than its current entry-level tablet. The new iPad Air will cost $499 and sport a screen that measures 10.5 inches diagonally. That compares with the standard, 9.7-inch iPad, which Apple will still sell for $329. Apple has higher-end Pro models starting at $999. 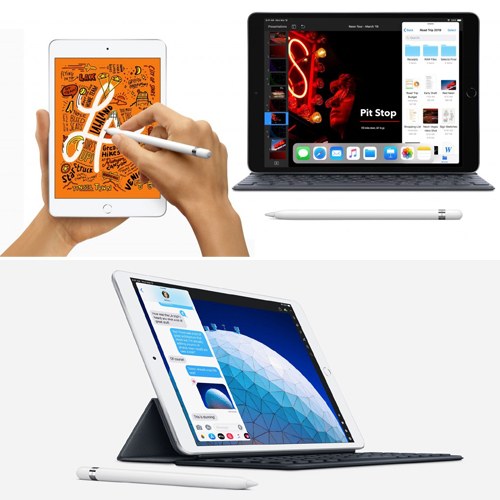 The new iPad Air has several features found in older Pro models, but not the latest. For instance, the iPad Air has a home button with a fingerprint sensor, while the latest Pro ditches that to make more room for the screen.